Happy Friday everyone! Yeah for a short week! Mr. Fix-it has been working very hard on the backyard shed. Its finally DONE (well except for the window but that's going in during the Spring sometime)! Its seems like its been awhile since he built it and it has! However, its been hard to find time or perfect weather to paint it. So, this week the rain held off for a couple of days and VOILA...the shed! 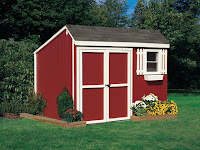 Here are some tips when building a shed for all your stuff!! Tip #1: What do you need a shed/garage for? 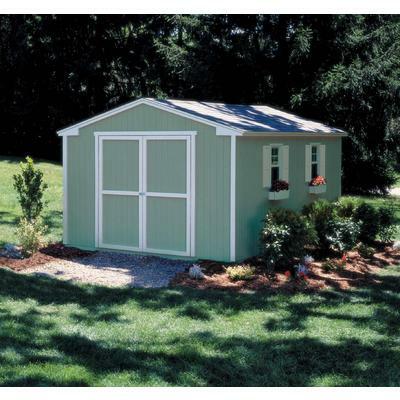 Are you building a garage or a shed? If you want to build a garage, make sure the city or town you live in doesn't have any issues with building new ones. I know Ottawa is super particular about that. What you need to store will determine the size that you need. Do you need it to fit the lawn mower and some gardening tools? 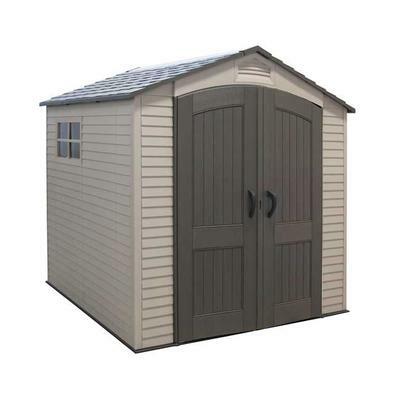 or do you need it to fit the lawn mower, gardening tools, bikes, kids outdoor stuff, patio furniture etc? You can find steel sheds, plastic sheds, wood sheds...lots of options. I'm a visual learner, so Mr. Fix-it spray painted on the lawn and bushes where the shed would go. That way it gave us a visual of how much room it would take up. I thought I had taken way more pictures of this process...I'm pretty sure I did. Hmmm, they must be on my other camera...just not sure where that camera is?! #5: Lay down a foundation. 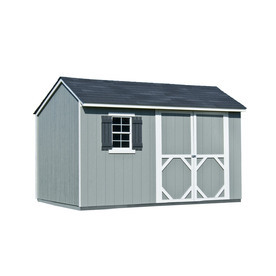 Your shed has to sit on something. Check out Imagination Station Playhouse post for tips on laying a foundation. This is an important step with these kits...dont skip steps and take your time! Even though the shed is a "kit", its time and labour intensive. Something to remember is that the kits dont come with shingles. You'll need to get those separately. This is Mr. Fix-it shingling. So, its a bit of a running joke that when we built our last shed in our old house, I was about 8.5 months preggers and was so ready for that shed to be done. So in my "this shed better be done before the babe arrives", I helped Nick shingle the roof. Not the smartest idea when you are carrying a watermelon! So we took this pic for fun. I'm only three months preggers in this picture. Already a bump...that's what number 3 does! 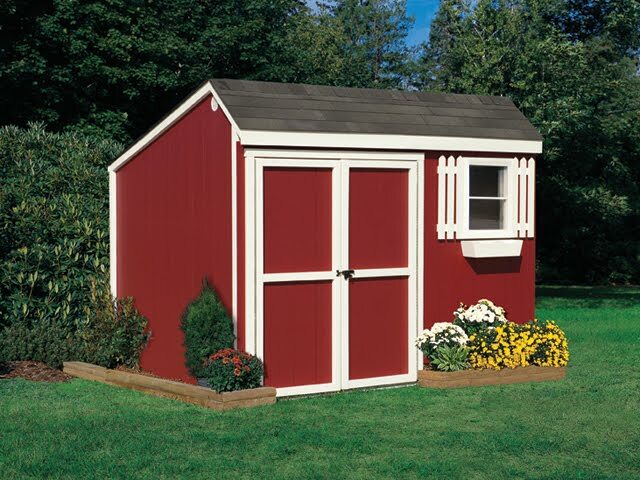 VOILA...a fresh.fabulous.sophisticated shed that now holds tons of stuff. It was a great way to clear out part of the basement (which now Mr. Fix-it is wanting to start as he sees it starting to empty!? Eeeks). The window will go in sometime in the Spring. Shed Body: eeeks, I can't remember. I'm usually pretty particular about keeping all my paint chits. Oopsies. This weekend I'm hoping to tackle the front hall. Right now it is painted Farrow and Ball Ringwold Ground. It used to be in the living room also. Not sure why it looks so pinky in this photo. Also not sure why all my text is all of a sudden bold?! 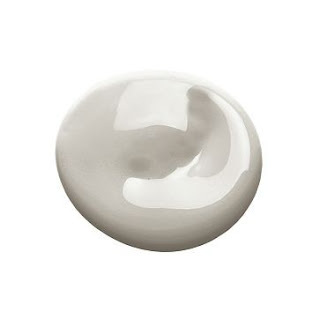 We had painted the living room and dining room Benjamin Moore Stonington Grey and I feel like the front hall and front enterance need something else which would improve the visual flow between rooms. 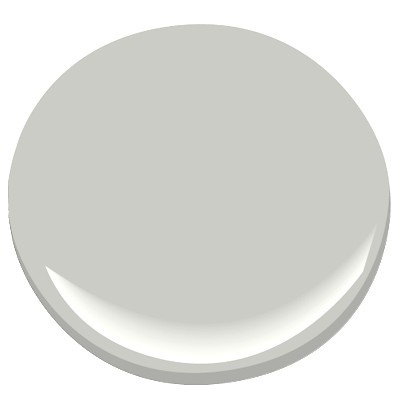 So, next on the paint chit is Coventry Grey. I'm thinking that will go in the hall and something stripey in the front enterance. Oooh. Stay tuned! I'm hoping it will be fresh.fabulous.sophisticated. Obviously not a huge difference. Seems more of a difference on the actual paint chit. I think that the ben-moore grey looks great going around the living room. Keep us updated! Inspiring and fabulous. keep up the good work. 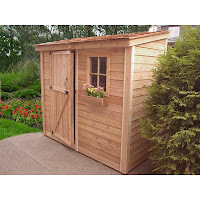 I live in Perth and the trend of building Sheds in Perth is very common. 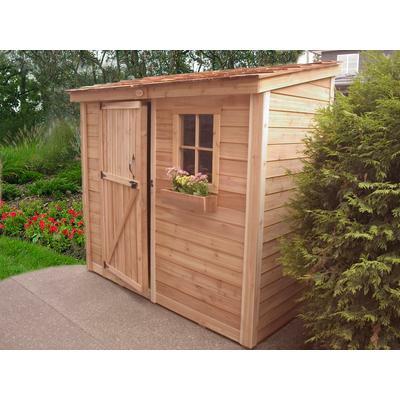 Your sharing will help me to build my own sheds.